or two during their vacation on the North Coast of the Dominican Republic. ​​New Life Church was started in 2000 by Pastor George DeTellis and his wife, Jeanne, as part of New Missions. ​After a long battle with cancer, Pastor George has gone to be with his Lord and Savior Jesus Christ. Jeanne remains involved in the church, but has given governance and vision-casting over to a leadership team made up of elders and deacons. This has been in place since August of 2014. Megan grew up in Unionville, Ontario. She has her BA in Sociology and a Master of Divinity. In 2002, she married Travis. She was ordained in the BIC Church of Canada in 2005. She was a youth Pastor for 10 years in Ontario before moving to the DR in 2011. 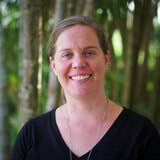 Megan currently volunteers full time in Caraballo/Ascension Village, DR.
Dustin Miller is from the United States, but has been living in the DR since 2008. 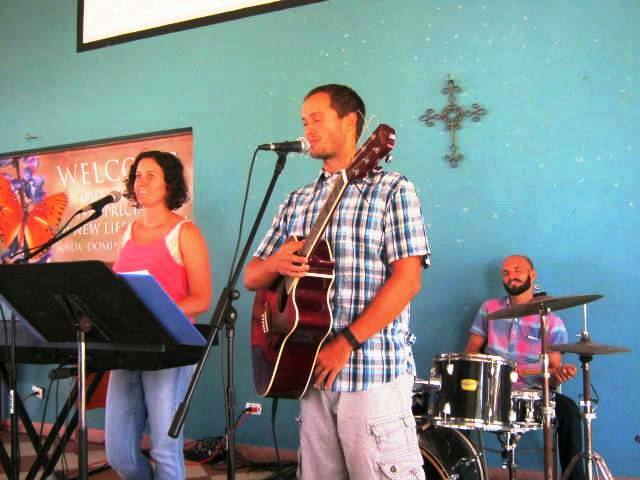 Dustin leads worship with his wife, Emily, and they became proud parents in 2017. He graduated from Greenville College in Illinois in 2007 with a degree in Psychology/Religion. Dustin works full time with Kids Alive DR and has a long involvement with Christian Surfers International. Darrell is Canadian and has been living in the Dominican Republic since 2015. He is married and has two young kids. He has a B.S. 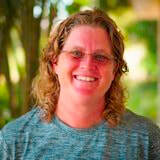 in both Bible and Kinesiology and is a current PE teacher at the local International school. He has been aiding in leading worship at the church since 2016. Claire is from England. 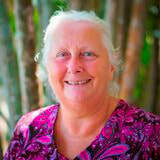 She moved to the DR in March, 2010 to lead mission teams from the UK. She now serves with Go MAD and her own new charity, Restoring Hope UK, working in Esperanza and Severet villages and with Nazareth House, as God leads and enables. Claire became a Christian when she was 16 and has been passionate about God and people ever since. She has a BSc in Psychology and Sociology from the University of the West of England and has half a Master's degree in Youth and Community Work with Applied Theology from Bristol Baptist College. Kevin is from Canada and has been living in the DR since 2009 and attending New Life Church since 2013. Kevin has a scientific background and business, management and administrative experience. 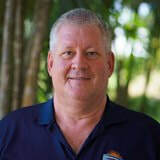 He and his wife, Francine, are Administrators of a condo complex in Cabarete and manage a number of apartments there. Kevin leads the daytime Bible Study and our Alpha Course. He has a passion for the Word and has a long history of facilitating Bible studies etc. in Canada, where he was an Elder with Central United Church in Calgary. 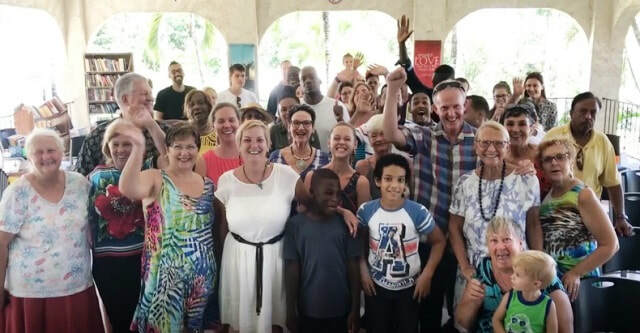 Linda moved to the DR from England in the year 2000 and accepted Jesus as her Lord and Saviour that year on Christmas Eve, during an outreach from New Life Church. She married Fray Martinez in 2008. She is semi-retired and is Church Secretary at New Life Church. In England she worked in the health, education and counseling fields and has a BA (Hons) in Sociology and Social Policy and a Diploma in Counseling from Warwick University. She graduated from Dominican Bible Institute in 2014. Heather is originally from South Carolina. 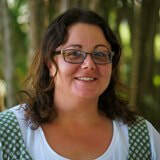 She first moved to the Dominican Republic in 2004 and taught in New Life School for 2.5 years. She returned to the United States to attend college and obtained nursing and nurse practitioner degrees. After completing her studies, God called her back to work with New Missions in the DR, where she is currently serving as the field director. Heather married Dr. Gustavo Arismendy Katz Milanes in April, 2017.